Did आप like Jude's portrayal of Dr. John Watson? Did आप like Robert's portrayal of Sherlock Holmes? 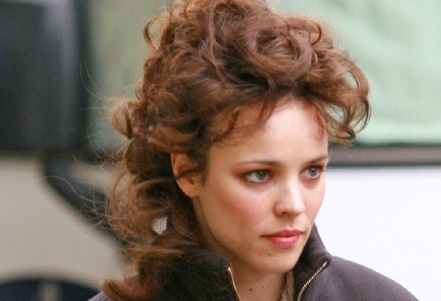 Where do आप like Rachel McAdams' Irene Adler more? I was thinking of लेखन a Sherlock प्रशंसक novel for the fun of it. Any helpful suggestions? Does anyone know when the सेकंड movie is supposed to come out on dvd? Is there a deleted scene somewhere between where Holmes chases after Irene and his fight with Blackwood on the bridge? Because where was Watson when Moriarty चुरा लिया part of the machine and how did Blackwood get a hold of Watsons cane? Take a 3 घंटा लंडन movie locations tour द्वारा luxury mini bus to और than 60 central लंडन film locations from और than 40 फिल्में across the past 50 years. You’ll see where Charlie Croker (Michael Caine) is दिया a warm welcome after leaving prison in The Italian Job to the fight scene in Bridget Jones.You’ll also see The Da Vinci Code लंडन film locations and sites from The Imaginarium of Dr Parnassus and Guy Ritchie’s Sherlock Holmes. a comment was made to the poll: Did आप like Jude's portrayal of Dr. John Watson? a comment was made to the poll: Do आप like the bromance between Holmes & Watson? a comment was made to the poll: Do आप like the bromance between Robert Downey Jr & Jude Law? Irene Adler shows up on Baker सड़क, स्ट्रीट to engage Holmes' services. What does she want him to do?